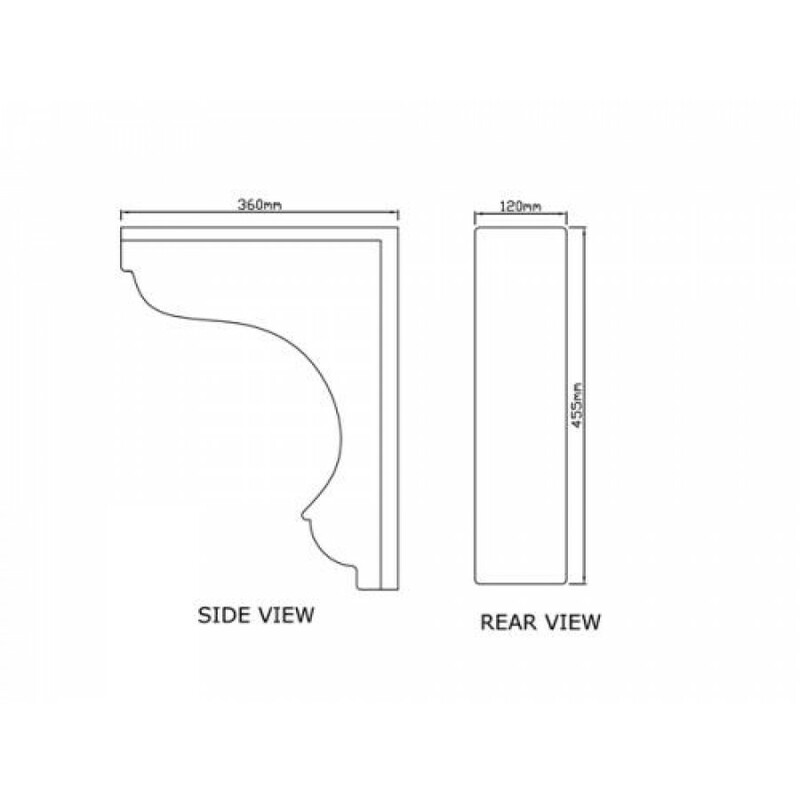 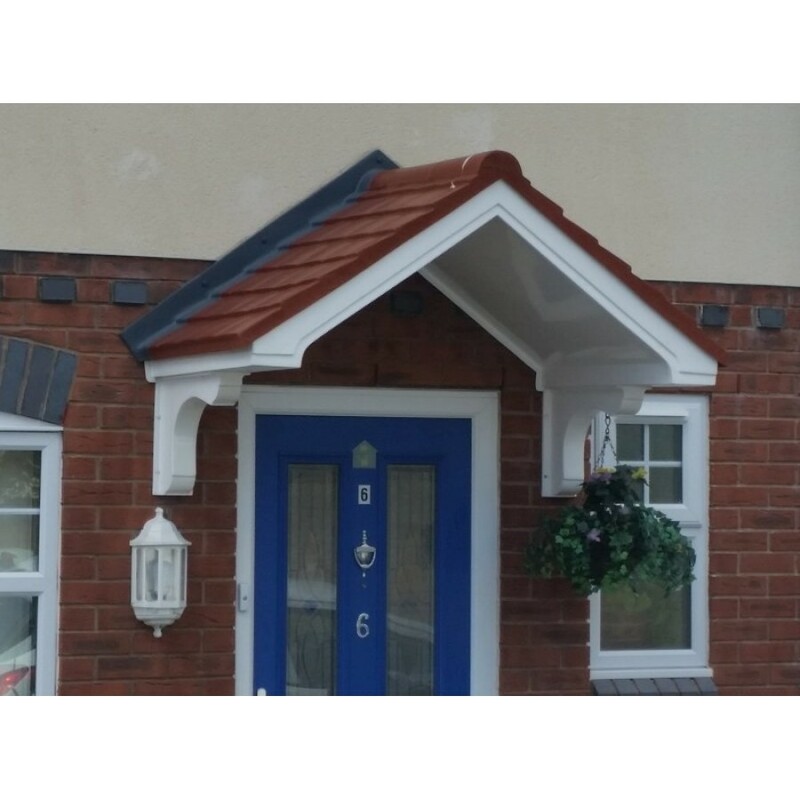 The Atlas GRP (fibreglass) entrance door canopy is homely style canopy that adds a welcoming touch to your house. 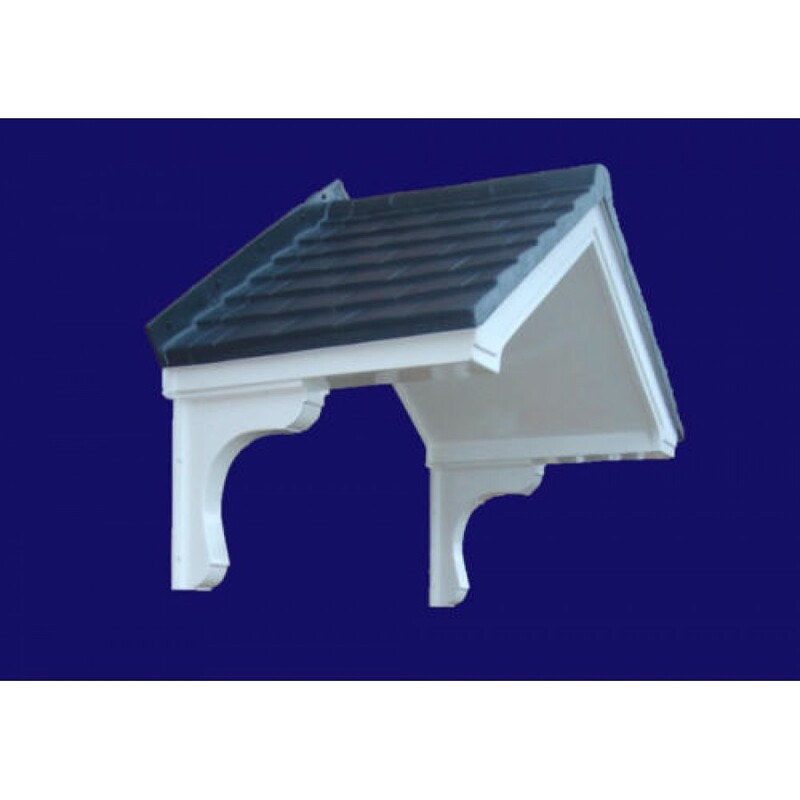 Moulded with a dual pitch tiled roof and integral GRP lead effect fixing/flashing flange, The Atlas style canopy has a country feel to it. 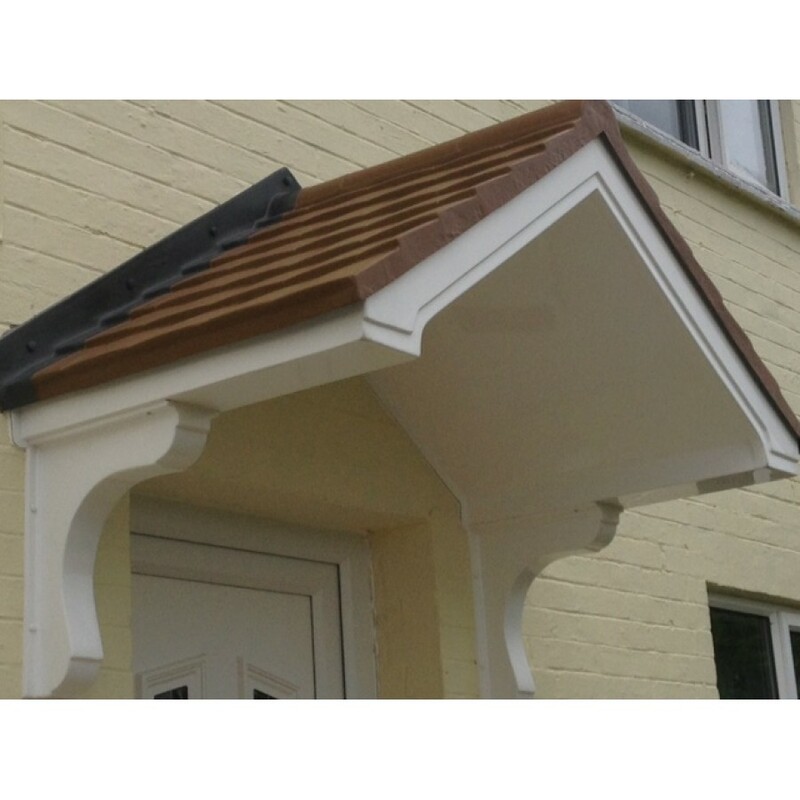 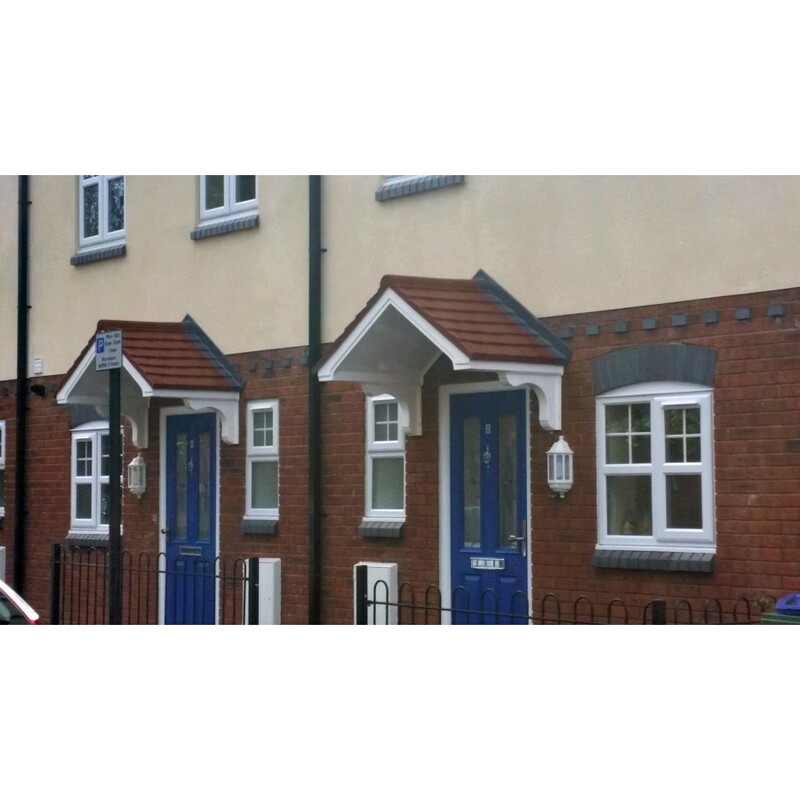 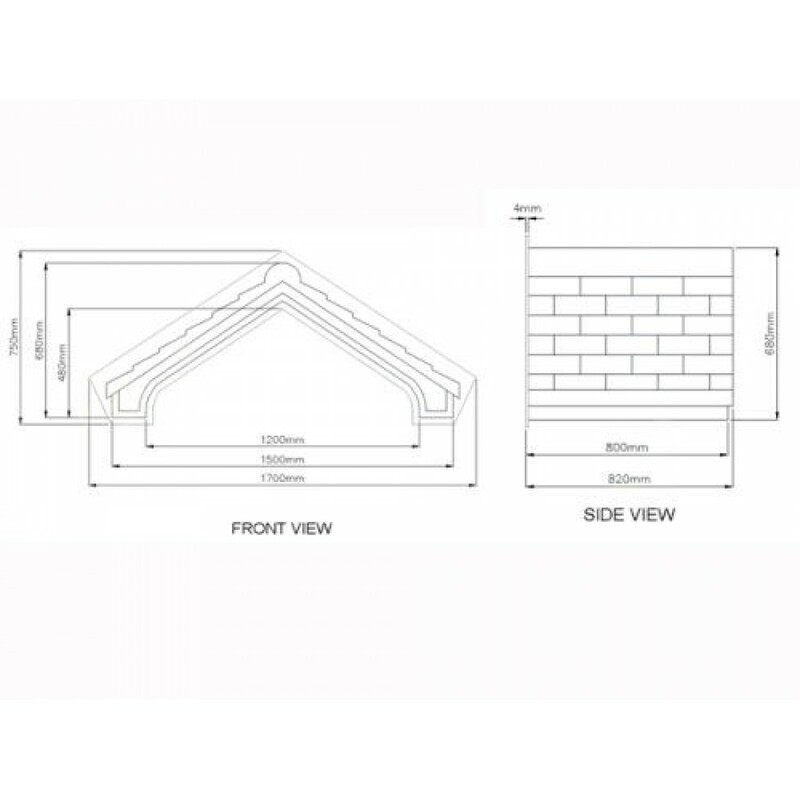 The door canopy is supplied with a white fascia and soffit and a slate grey tiled effect roof as standard but there are also optional decorative brackets available.The door canopy is supplied in grey & white as standard but there other colour options are available such as oak, mahogany and anthracite grey which can be selected when placing your order.